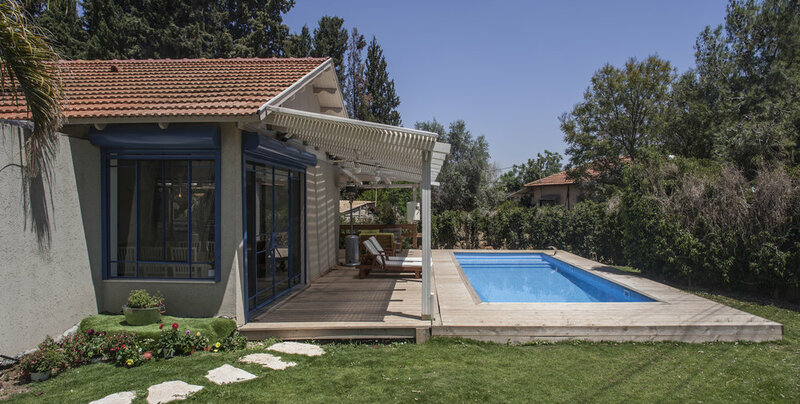 Located in untamed landscape of a beautiful village in the south of Israel, the old villa owned by an Israeli young couple function as a retreat from the city life. The architect Ilana David partner at ROY DAVID STUDIO Tel Aviv based architecture & interior design practice, was motivated to create an ideal country house for the young clients despite their humble renovation budget. When entering the 15 acers site, one will pass through a beautiful fields of pomegranate trees. The wild landscape inspired the architect to keep the design with super simple lines and allow public space with visual orientation facing the landscape surrounding the villa. The overall interiors of the villa were designed in a tuscan style with modern and eclectic interpretation.